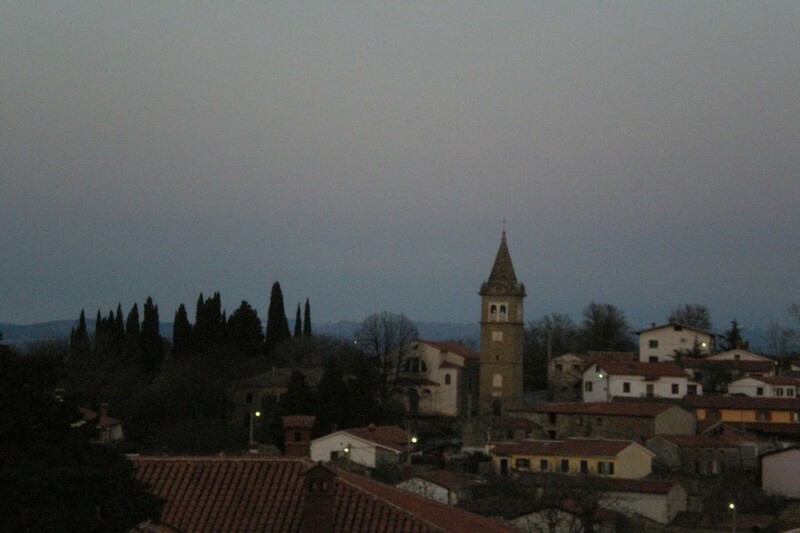 For Piran Weather click here. 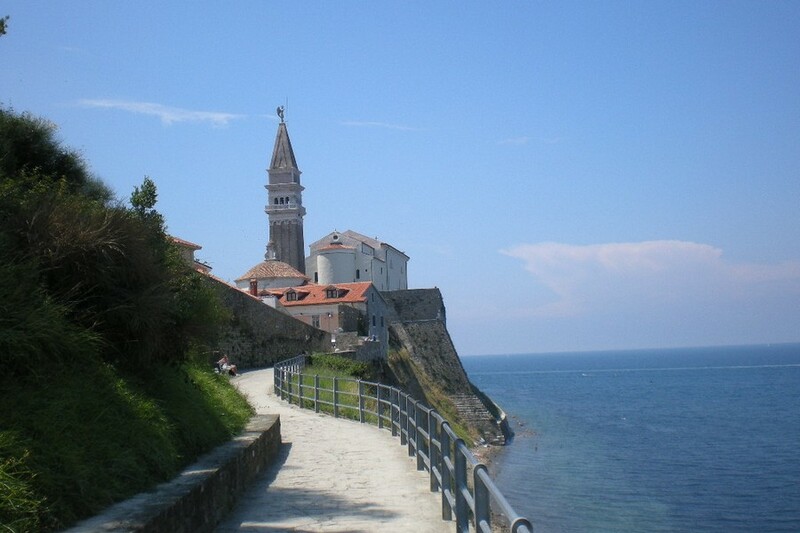 Recorded as a fortified town under Byzantine rule as early as the 7th century, Piran is one of Slovenia's best preserved historic towns and one of the country's leading tourist attractions with an abundance of beautiful historic buildings, both from the period of Venetian and Austrian rule, and a fantastic position on a peninsula surrounded on 3 sides by the Adriatic. 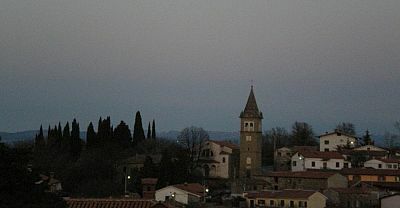 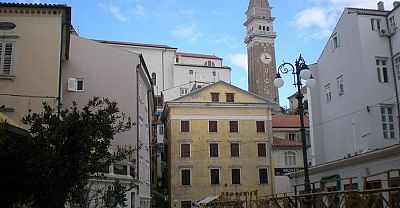 The original walls - built to protect the town from attacks by the Ottomans are stil partially in existence and enclose a warren of atmospheric and largely pedestrian streets and squares, first among which if Tartini Square, named after the famous 18th century composer and violinist who was born in Piran. 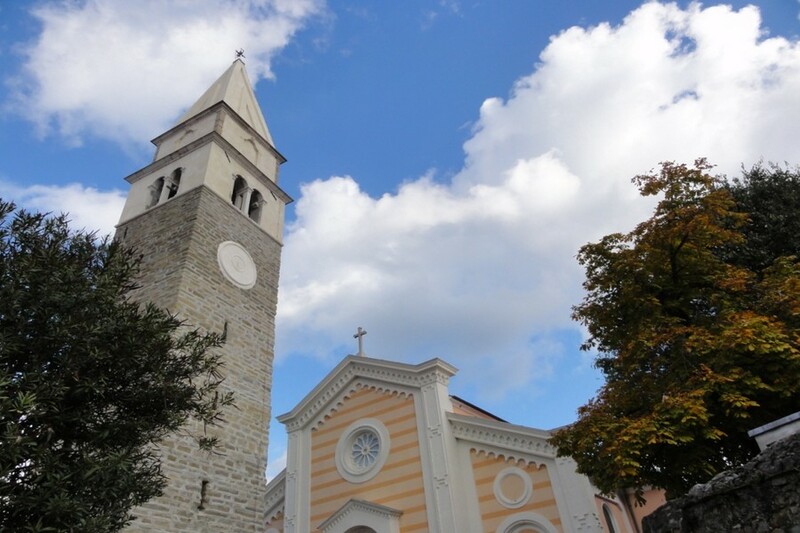 Overlooking the town is the beautiful St George's Cathedral which offers wonderful views of the Gulf of Trieste stretching from the Italian to the Croatian coasts. 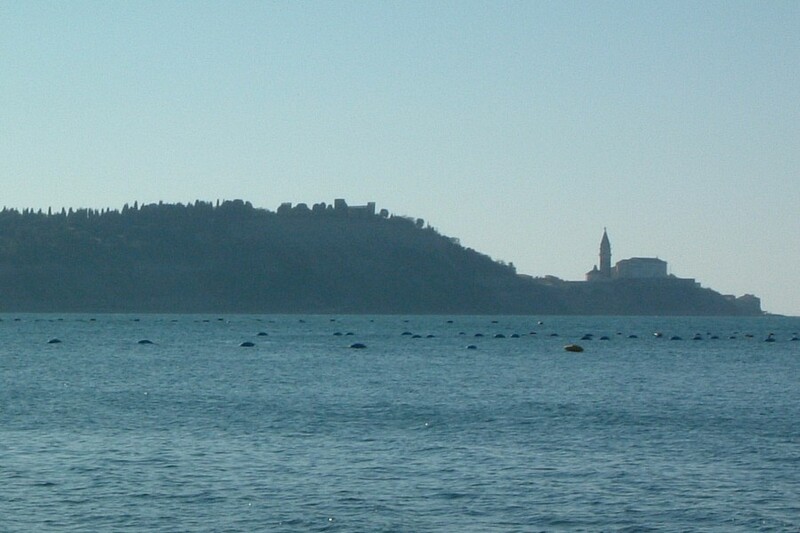 Below the cathedral is a long stretch of pleasant rocky beach leading to the attractive bay of Fiesa and in Summer many people also swim and sunbathe from the walls and sea defences surrounding the town. 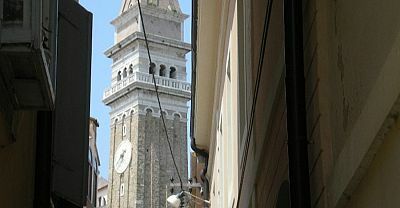 The town is home to a thriving community of around 20,000 people and thanks perhaps to the fact that it is largely pedestrian it has a busy, bustling feel with outdoor markets, busy cafes and lots of excellent seafood restaurants. 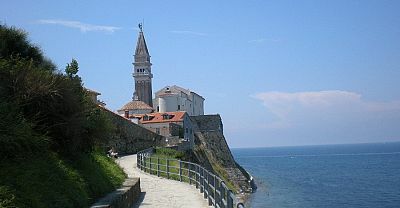 No trip to the Slovenian Adriatic is complete without a trip to beautiful Piran! 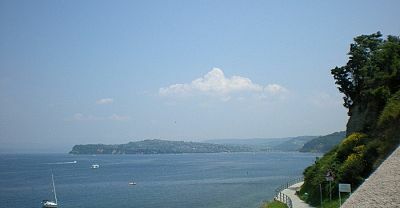 Portorož is undoubtedly Slovenia's biggest and most touristic seaside resort. 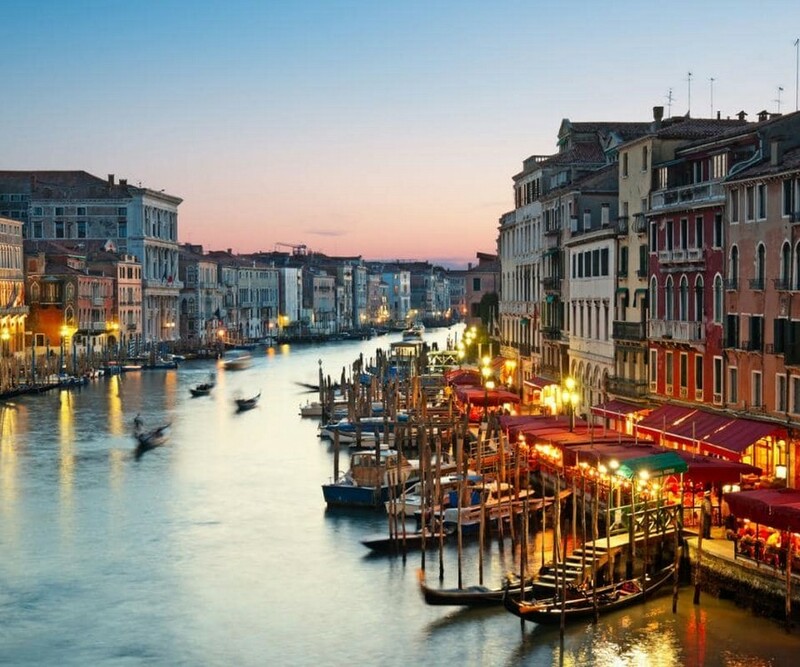 The town, whose name means literally "Port of Roses" has been largely dedicated to tourism since the early 20th century and the completion of the first luxury hotel - the Palace Hotel in 1910, recently acquired and redeveloped by the Kempinski Group. 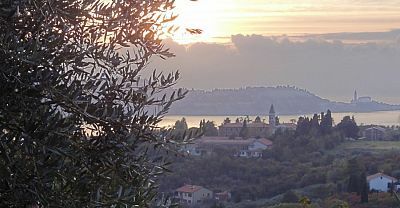 Originally Portorož was part of the "Austrian Riviera" which flourished in the 1920s and was hugely popular with the high society of the Austro-Hungarian empire. 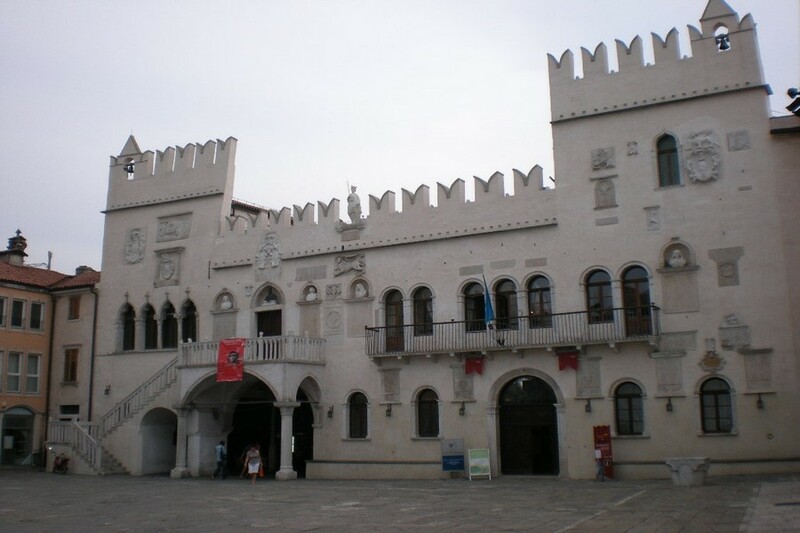 Now of course it is far more accessible and the town focuses around the coastal road which is mainly occupied with large hotels, some of which (The Palace) have regained their former glory. 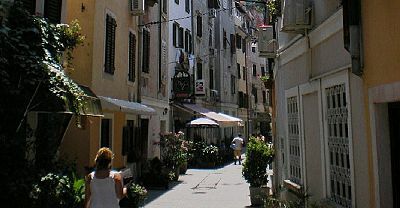 Between the hotels are a huge range of tourist shops, restaurants, bars, casinos and other touristy stuff all backing onto a large beach area with wall to wall umbrellas and sun loungers in the Summer months. 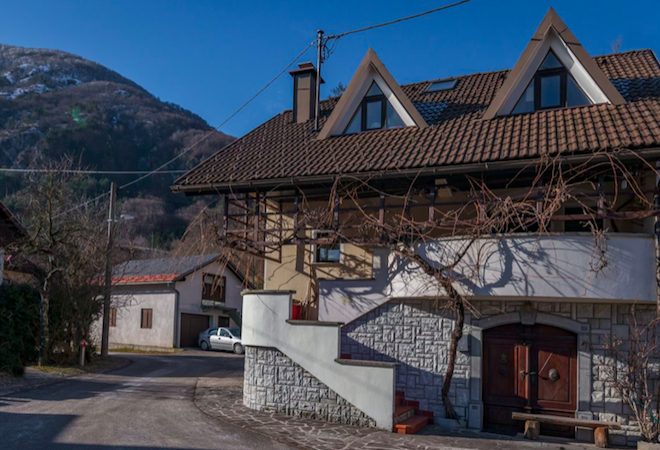 Whilst it is often crowded and unashamedly devoted to tourism there is undoubtedly a certain charm in the place dating back to its Austro-Hungarian origins. 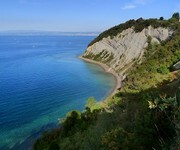 Walking the beautiful Strunjan cliffs nature reserve overlooking the Gulf of Trieste on one side and idyllic olive groves on the other and a long rocky beach "the Bay of the Moon" at the foot of the cliffs. 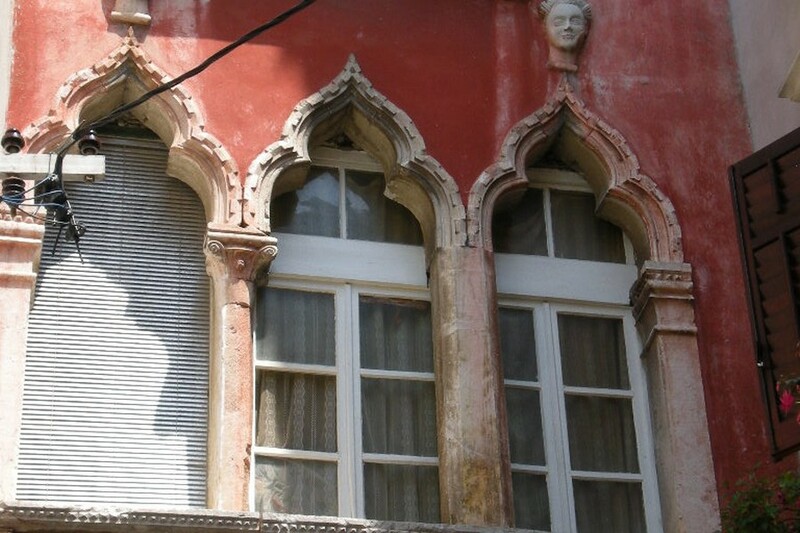 The lovely laid back italianate seaside town of Izola. 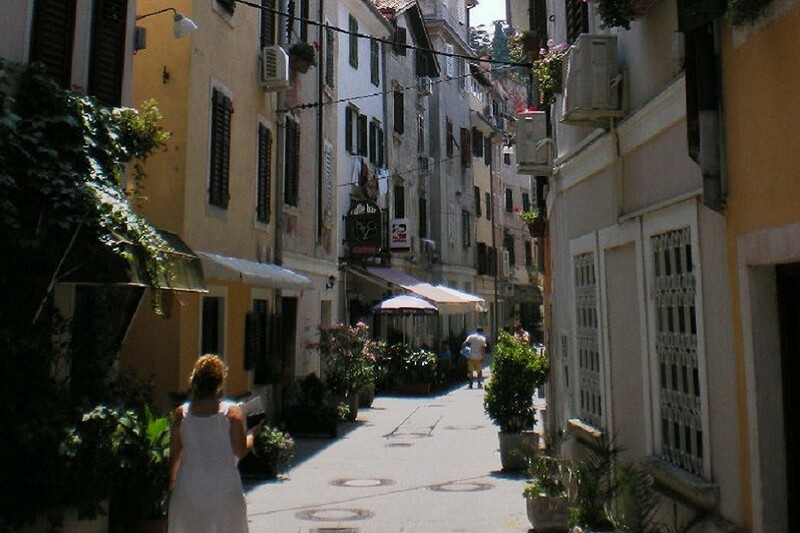 Home to some of Slovenia's best beaches and seafood restaurants. 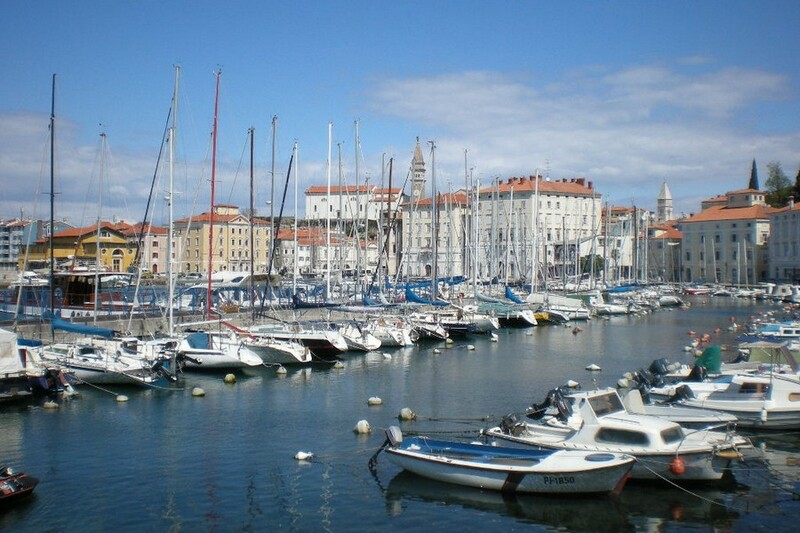 Taking a daytrip to Venice from Piran by boat across the Gulf of Trieste. 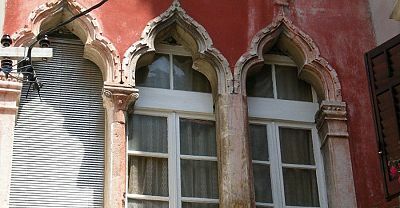 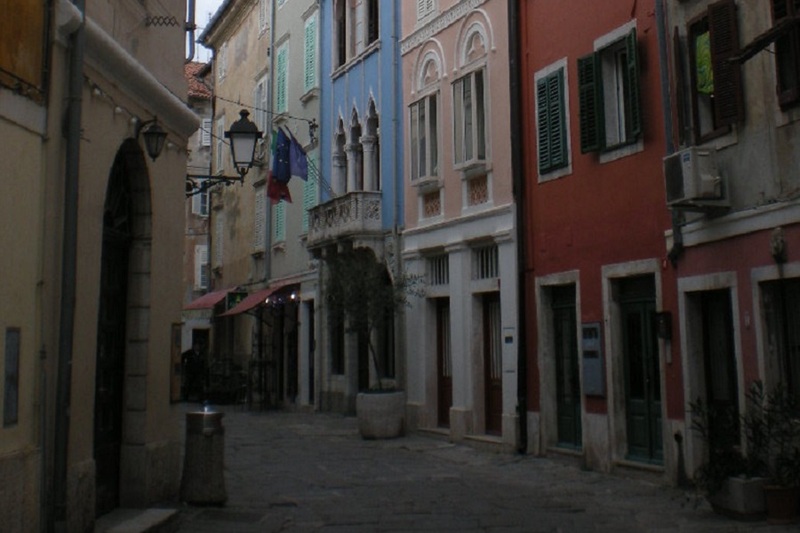 The old centre of Koper town. 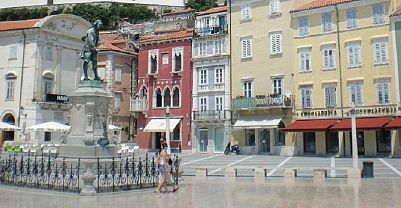 Whilst Koper port may not be one of Slovenia's most beautiful spots, prepare to be surprised by its pretty medieval old town. 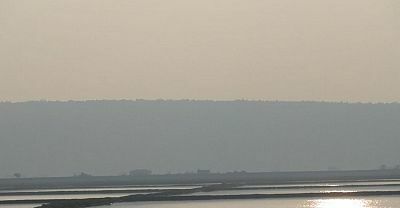 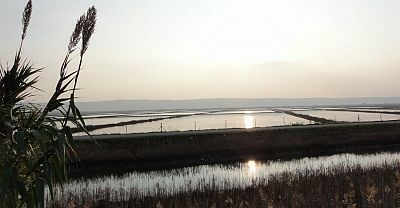 The Sečovlje salt pans - the last settlement before the Croatian border and once the main producer of salt in Slovenia, now home to a coastal wetland nature reserve. 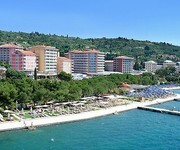 Portorož or "Port of Roses" is Slovenia's biggest and busiest coastal resort with lots of large seaside hotels and a certain charm dating back to its Austro Hungarian roots. 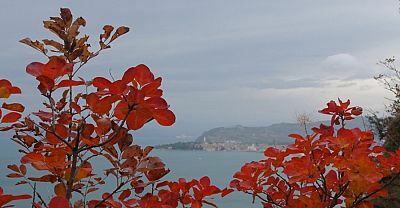 HIKING: There is some excellent coastal walking in the region - including the nature reserve path at Šecovlje and the clifftop walks at Strunjan. 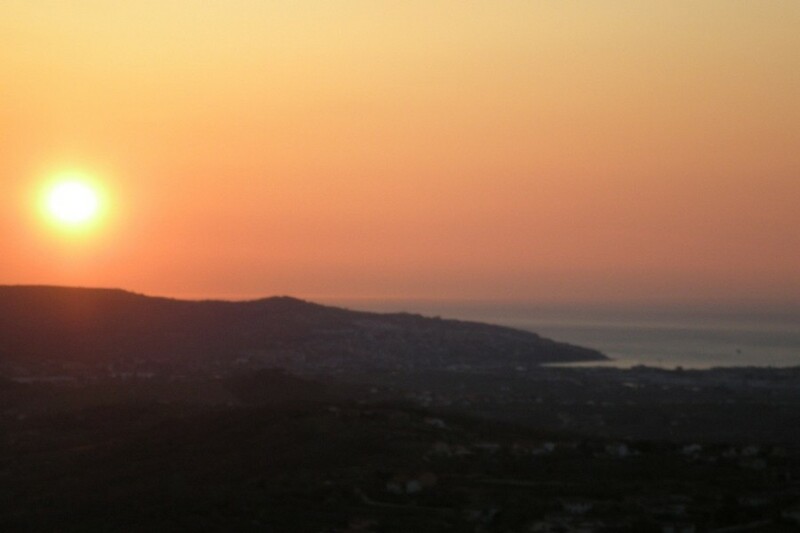 There is also some great hill walking inland from the coast. 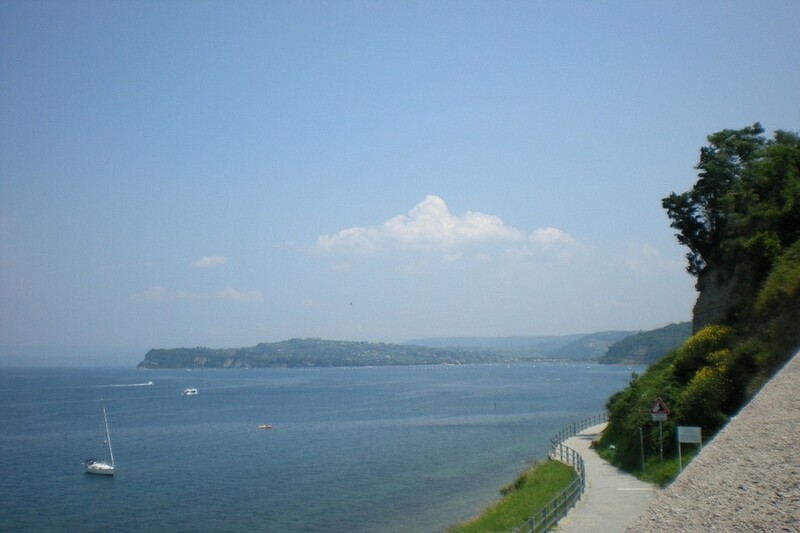 HORSE RIDING: The Medijan Riding Centre is located in Cetore 5km inland from Izola in the Coastal hill country. 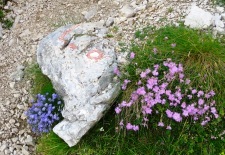 Offering all kinds of equestrian services including local treks and tours of the beautiful Slovenian coastal region. 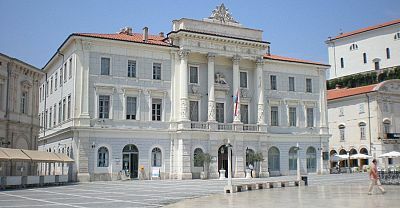 SWIMMING: The warm waters of the Adriatic are good for swimming from May / June through to September / October and there is a range of sandy and rocky beaches all along the Slovenian Adriatic. 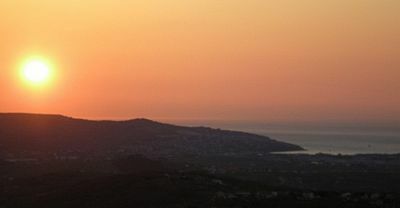 In additon, the resorts along the coast offer their fair share of pools and water parks. 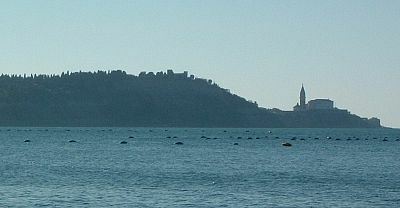 JET SKIING: Jet skis can be hired in Portorož from a couple of suppliers. 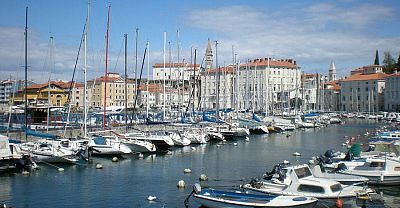 SAILING: The Slovenian Adriatic is a lovely place for sailing with normally calm waters, picturesque coastline and excellent marinas at Piran, Izola & Lucija. 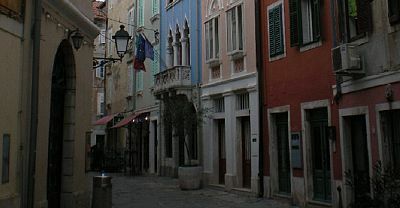 The Croatian and Italian coastlines are in easy reach - with trips as far as Trieste or Venice in Italy or the Istrian coast of Croatia and sites such as Rovinj, Poreč or Pula or the stunning Brioni archipelago easily possible. 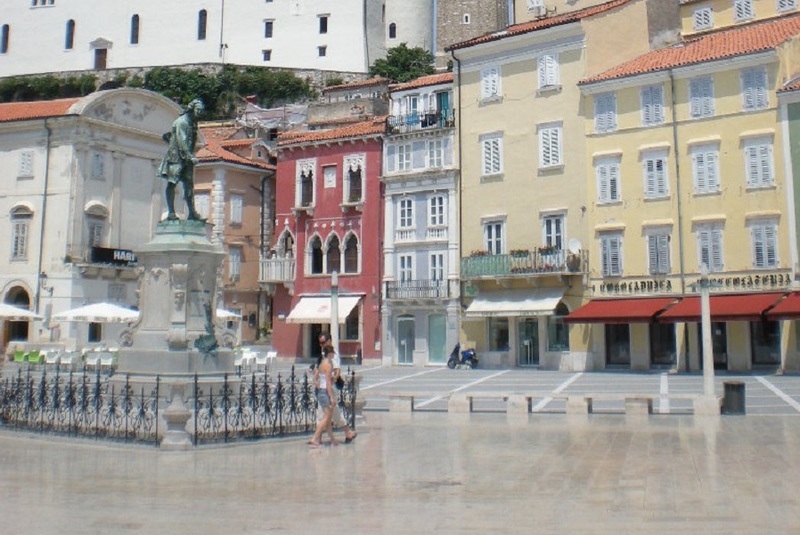 SCUBA DIVING & SNORKELLING: There is good scuba diving possible on the Slovenian Adriatic with a deepest point of 39m just 200m from the point of the Piran peninsula and a varied range of dive sites and sunken vessels to explore. 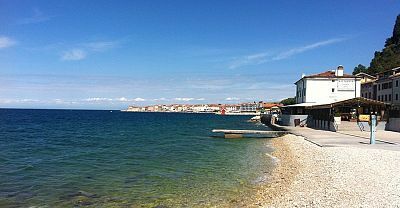 There are a number of dive schools and operators - among the best of which are Nemo in Portorož offering the full range of PADI courses and certification. 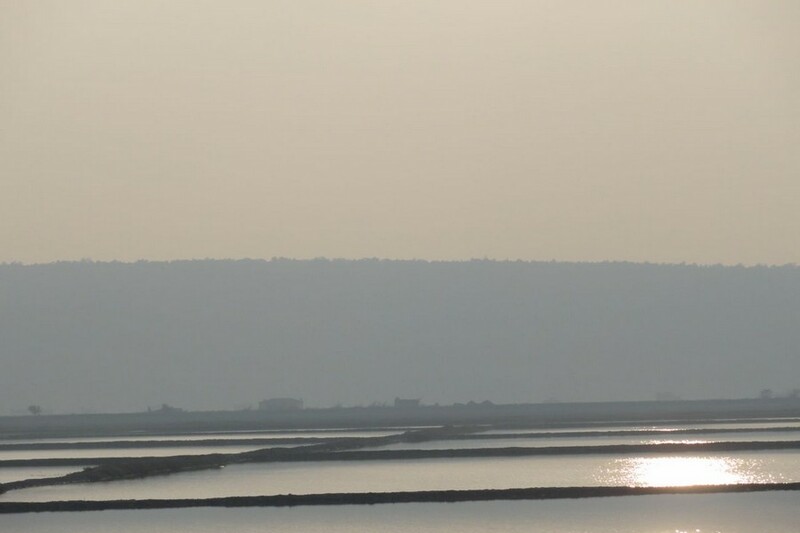 WATER SKIING & WAKEBOARDING: There are a number of suppliers on the Slovneian coast who can arrange waterskiing and wakeboarding in the warm waters of the Adriatic. 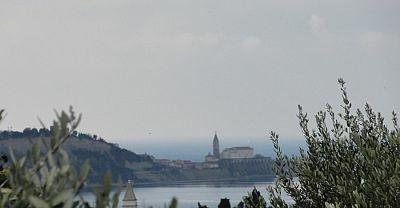 WIND SURFING: The Slovenian Adraitcic coast is a great place to learn windsurfing with relatively light winds and calm seas most of the time (apart from day s when the infamous bura wind blows, in which case beginners beware!) 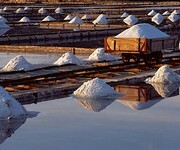 There are a number of companies on the coast that can supply equipent and tuition. 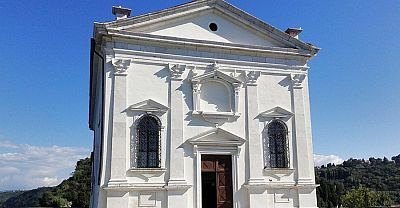 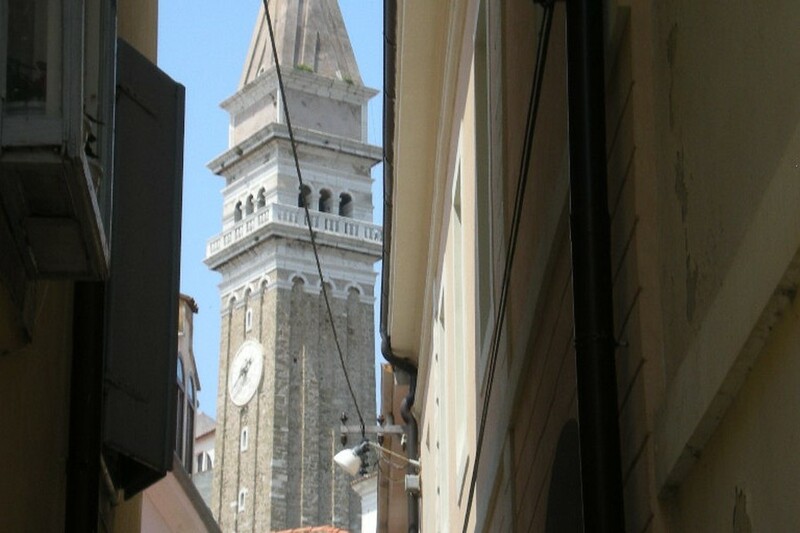 ARCHITECTURE & HISTORICAL SITES: The Venetian town of Piran is undoubtedly the jewel of the coastal region. 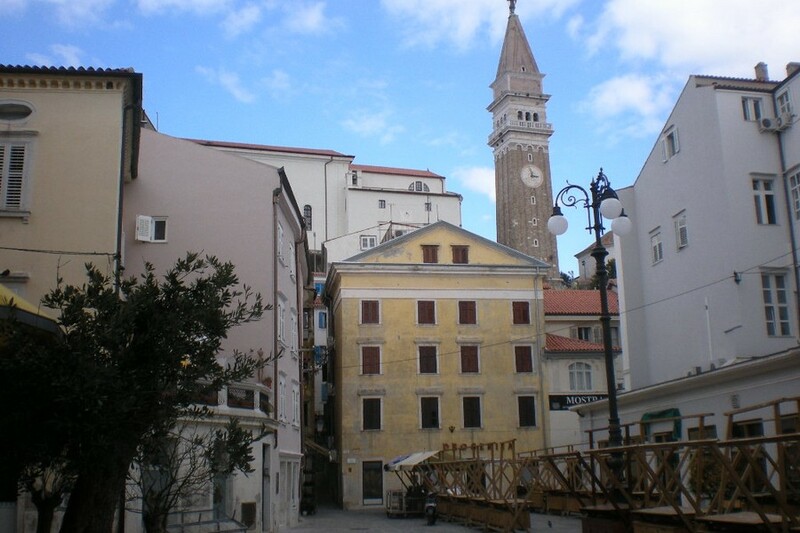 The old centre of Koper is also beautiful and well worth exploring, likewise, laid back Izola town. 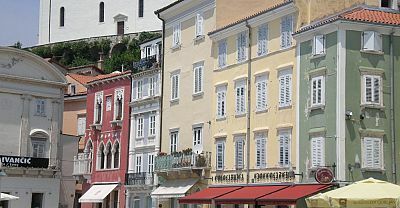 The centre of Portorož has a certain charm and evokes the hey day of the Austro Hungarian riviera - especially the stunningly renovated Palace Hotel. 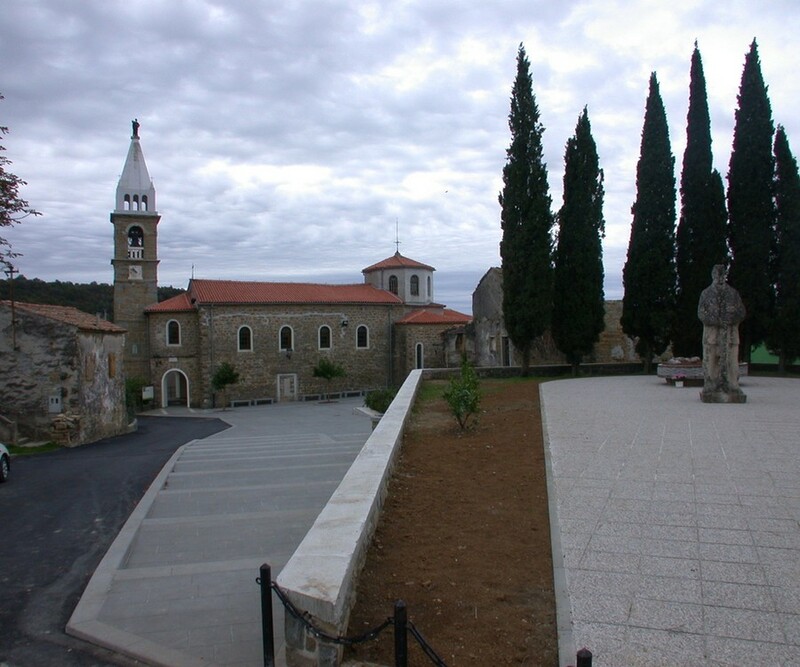 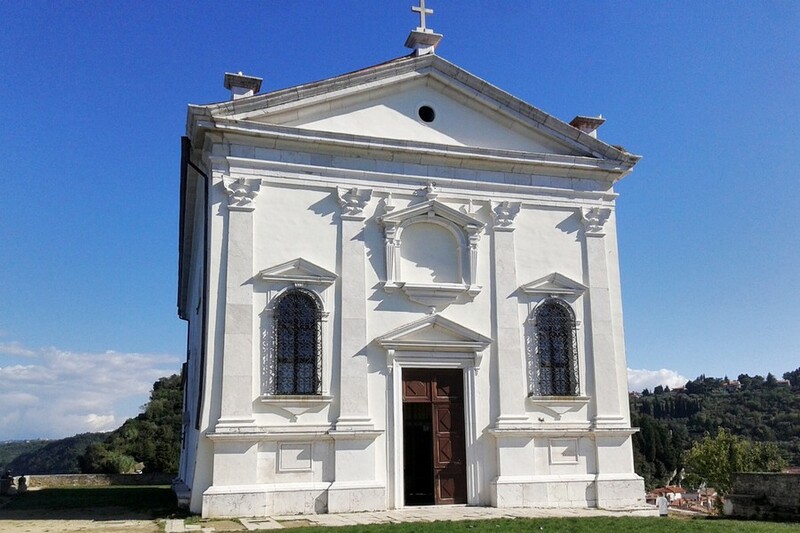 Inland from the coast there are lots of charming, authentic, hill top villages which make a great driving tour, taking in also the wonderful dance macabre frescoes at the Church of the Holy Trinity in Hrastovlje. 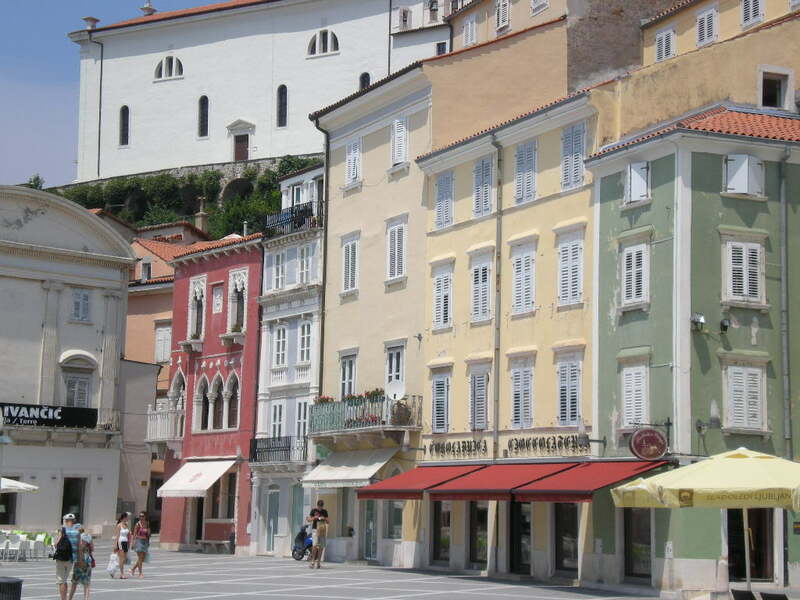 FESTIVALS: The annual Izola Ribiški Praznik (Fish Festival) is a Mediterranean style festival held during August and is an excellent opportunity to eat excellent seafood. 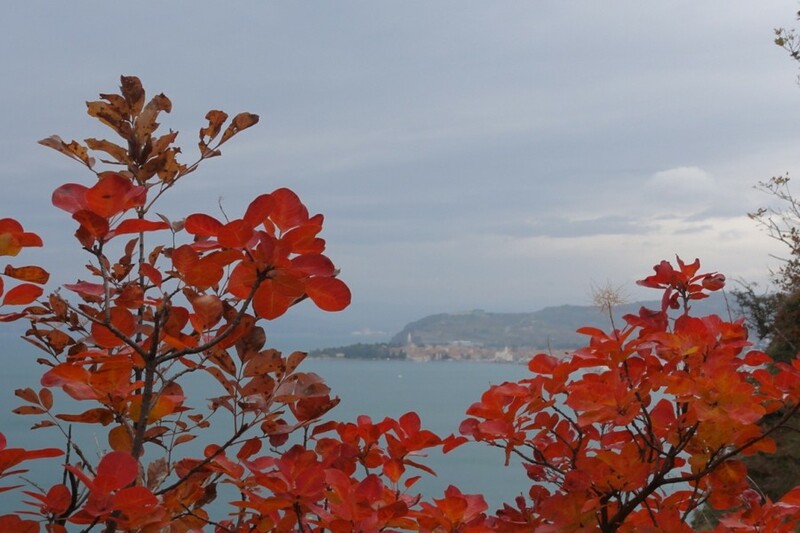 There is usually live music from a boat in the harbour and lots of stands of food, drink and things to buy. 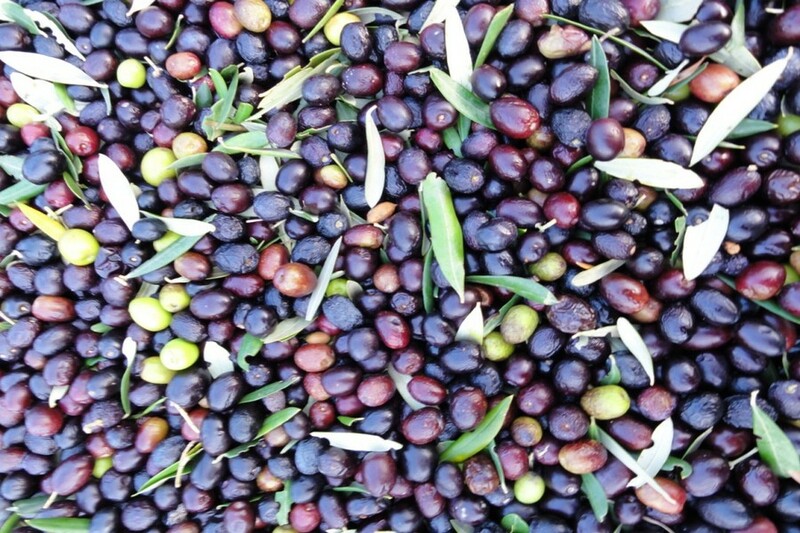 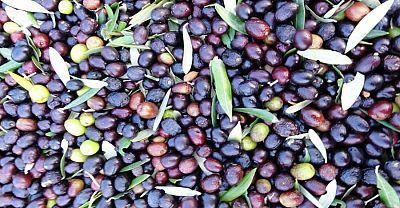 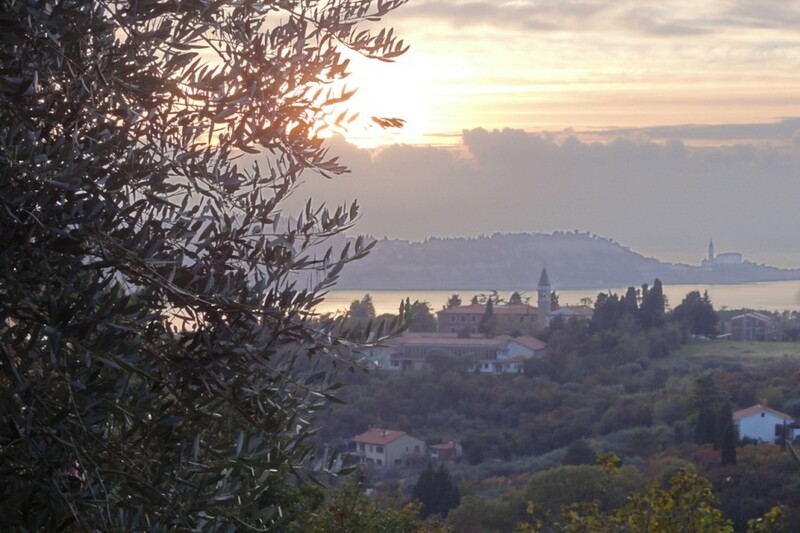 FOOD & DRINK: The Adriatic region is one of Slovenia's culinary hotspots, with an emphasis, unsurprisingly on Mediterranean food - seafood, olive oil & locally produced wines and on traditional Istrian dishes - such as fuži pasta, truffles & game dishes. 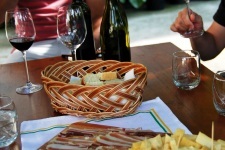 In the coastal towns there are a mix of more touristy restaurants and quality local seafood restaurants, inland many villages have excellent taverns("gostilne") serving outstanding local produce at reasonable prices. 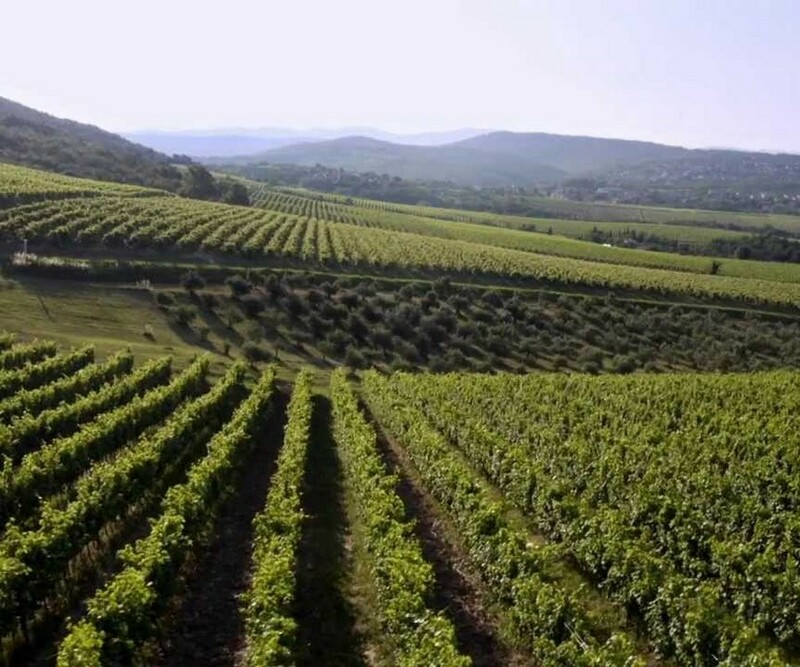 Much of the area is given to wine growing and the strong refošk red and malvazija white varieties are the region's specialities and can be sampled at any number of wine cellars around the region. 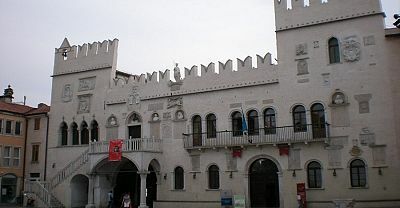 MUSEUMS & GALLERIES: There is an interesting aquarium in the centre of Piran which has been operating since 1967 and offering visitors the chance to view140 species of marine life. 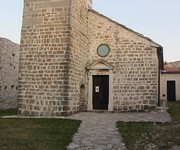 The town also offers a number of smaller museums - including the Sergej Mašera maritime museum & St George Cathedral Museum. 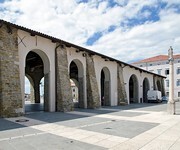 The Piran Town Gallery is worth checking as it often has interesting modern art exhibitions. 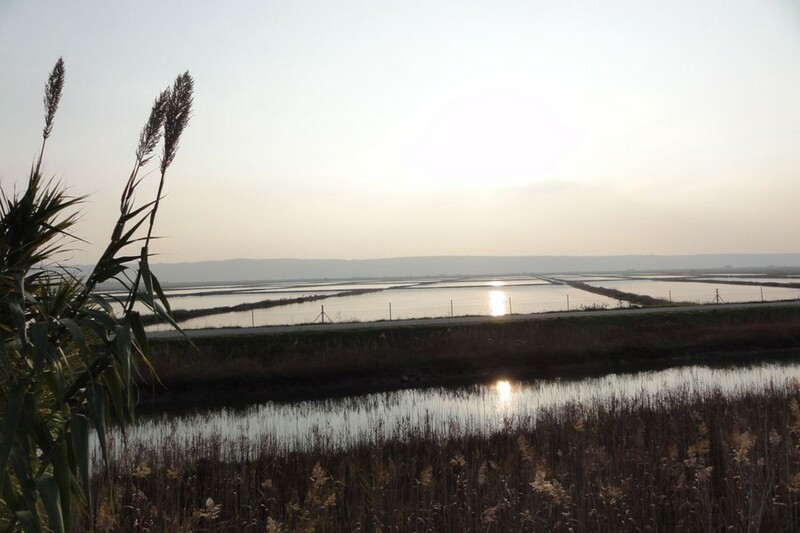 NATURAL ATTRACTIONS: The key natural attractions of the region are of course the Adriatic itself, which offers wonderful clean and warm waters and a huge range of water based activities. 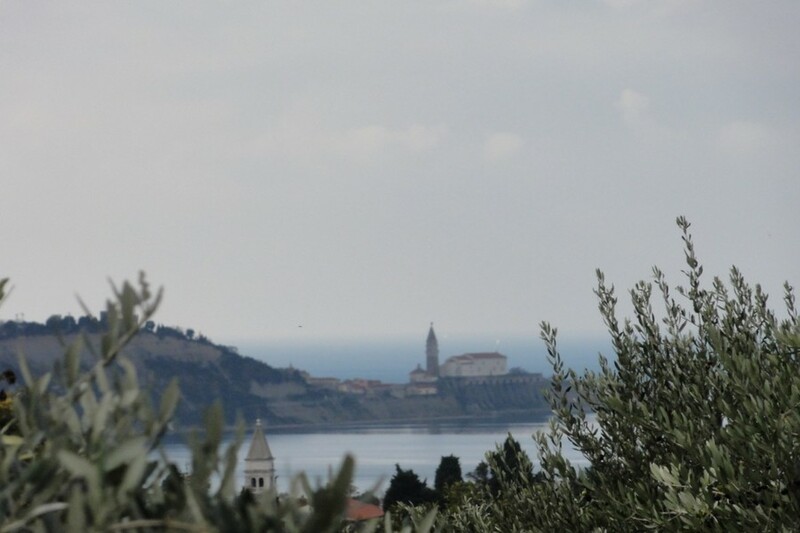 Other natural treasures of the region are the Strunjan Cliffs and Strunjan regional park, the Šecovlje Salt Pans nature reserve, the stretches of more wild coastline under the Strunjan cliffs and under Piran Cathedral. 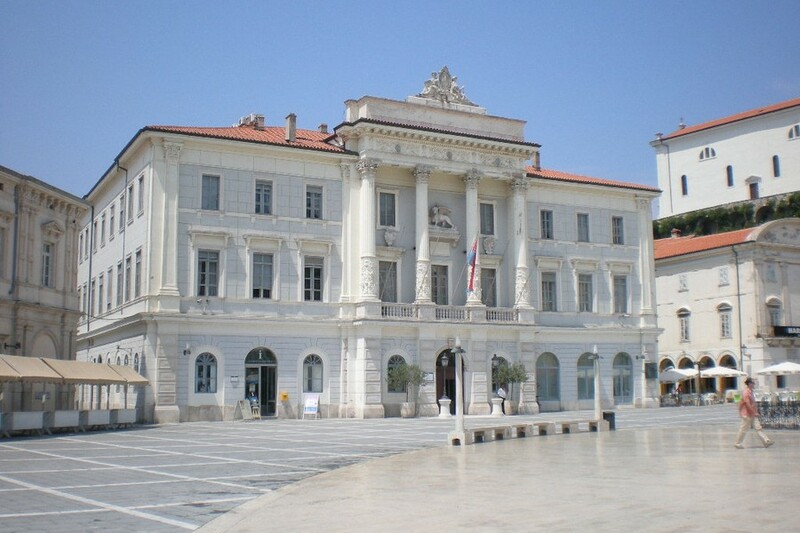 SPA & WELLNESS: The Coastal region is one of Slovenia's inviting regions for spa and wellness tourism. 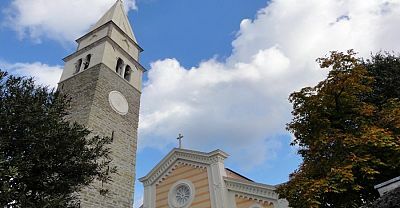 Focusing around the Talaso Strunjan Spa & Hotel and Portorož Life Class Spa & Wellness Centre, both included in Slovenia's 15 certified natural spa resorts, but with the added attraction of attractive seaside positions and of course offering a wide range of recreation, relxation, beauty and medical treatments.